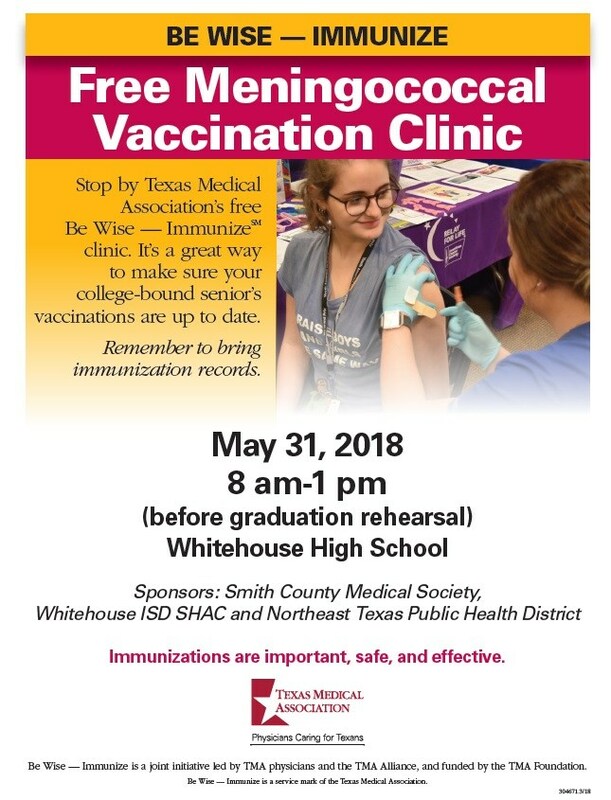 All Texas colleges and universities require a meningitis booster. 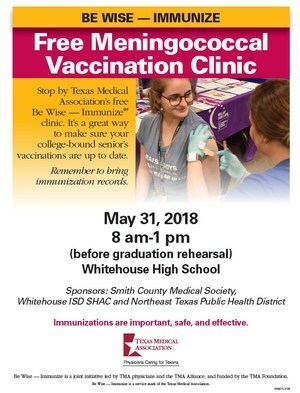 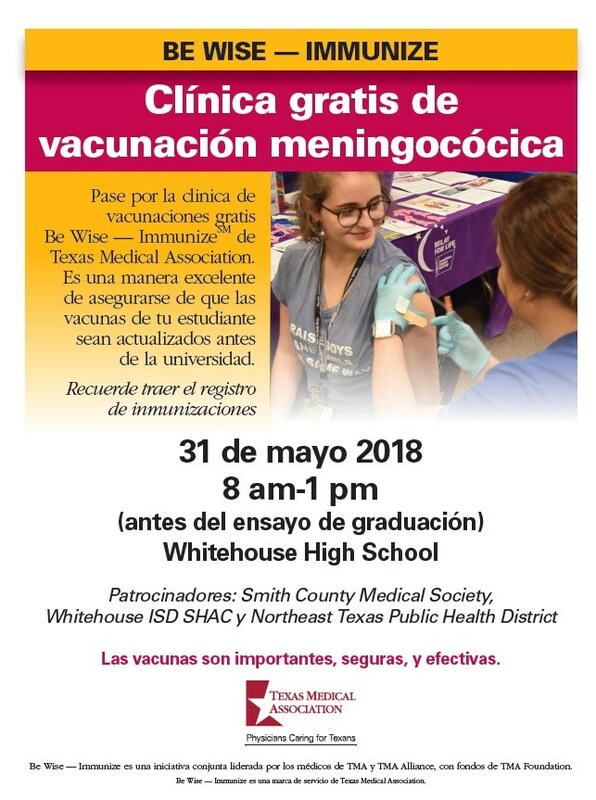 Whitehouse High School is hosting a clinic will allow students to get their booster taken care of during graduation rehearsal, avoiding the back to school rush in August. 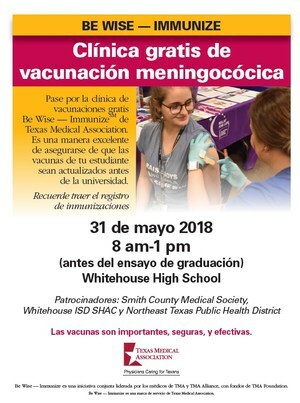 See Nurse Lofties if you have any questions.